Fabio Volo came to my attention with One More Day (read my review here), a great novel that I’ve read only recently. What I like most about him is his voice, a voice that can follow many rhythms and talk in an almost lighthearted way about some of the most important things in life. 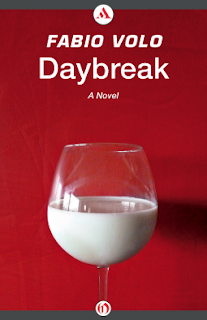 Daybreak is the story of a marriage that’s going really bad. Both the parties, Elena and Paolo, are unhappy, yet for some reason they stay together. Perhaps that has something to do with their need to have somebody to lean on, perhaps not. Paolo is his mother’s boy, always quiet, always obedient, and unable to cut the cord that ties him to her. Elena is a woman that flirts with depression and who finds it hard to dare exit her dead-end current life and start anew. How can someone escape their life? And, more importantly, how can they escape the ghosts that haunt their soul? The answer is simple, by seeking a new love. But, even if they find it, will that new love save them? According to Carla, Elena’s best friend, yes, it will. But, how can she be so certain, she who did almost everything wrong in her own life? Volo does a great job in building the internal worlds of his characters. None of them is innocent, and none of them is guilty. They all have to carry their own burdens, but not all of them can be happy; not really. As we read Elena’s journals we come to know some people who are constantly in conflict, with themselves and the others, without even realizing it; people who are most of the time weak, but every now and then strong; brave and coward; dreamers and conformists. This is not a perfect world that we live in, but, the author seems to suggest, if we don’t fight to change our circumstances, we’ll never have a chance at finding happiness. 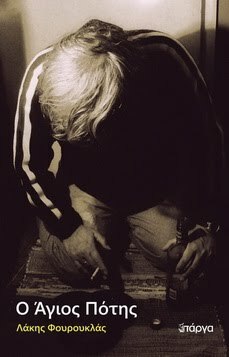 His story is a story of ordinary people, beautifully written, that tries to find an audience in one’s soul, and it manages to do just that. This is a sentimental novel that can be read with pleasure by anyone, no matter their gender. And the friends of Italian literature will surely find something to love in its pages.